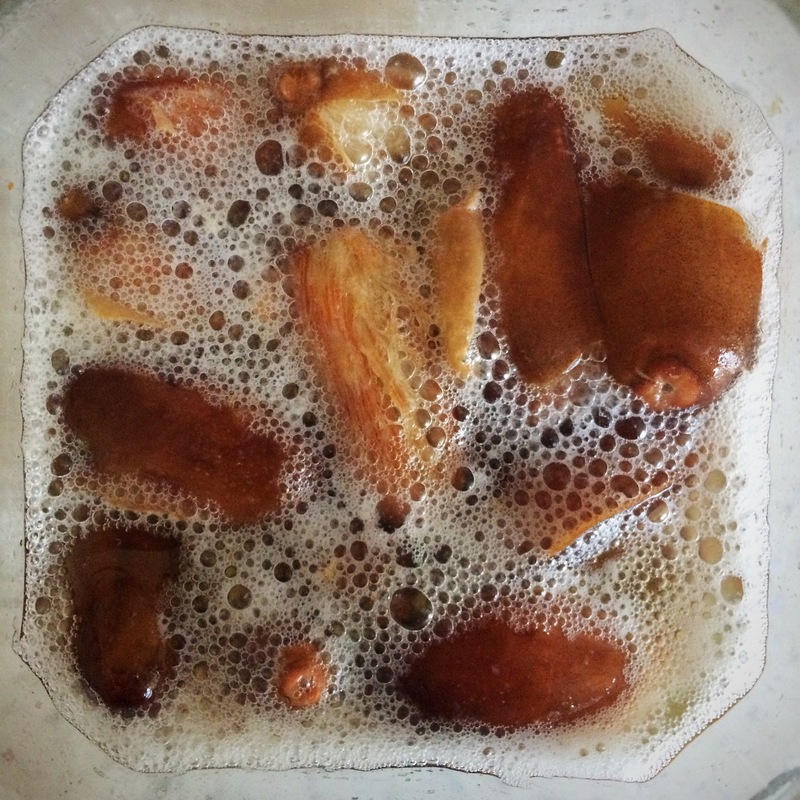 I have now made yeast water from apples, dates, dried figs and a fresh fig. They have all worked well, but so far my favourites are the dates and apples. I can now tell you that different fruits result in different shaped loaves; I’ve had rounded loaves from apples and peaked loaves from figs – just like the shape of the fruits! 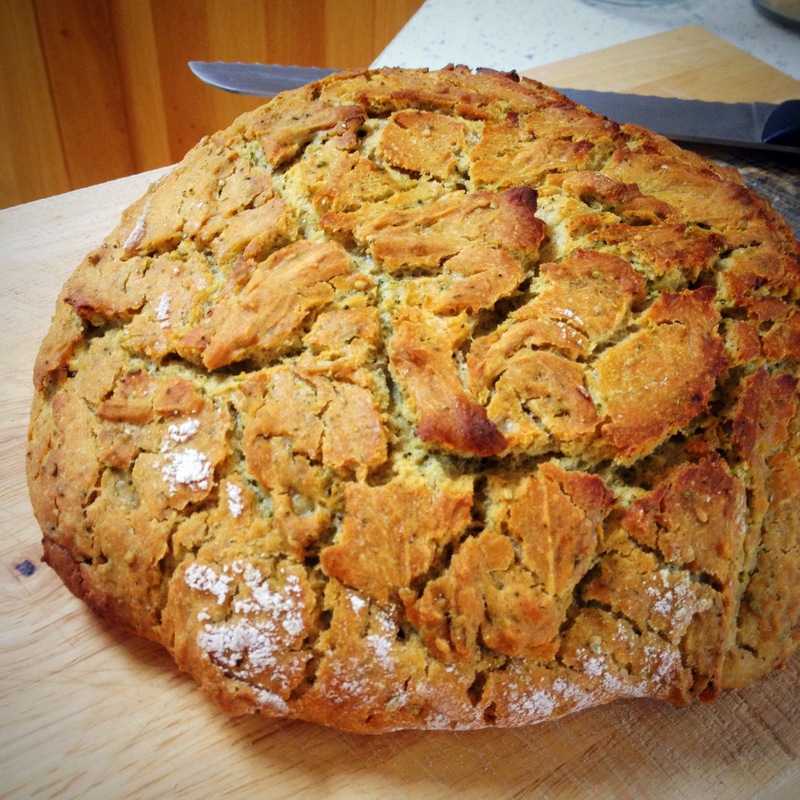 And the apple water generates the most wonderful aroma in the final loaf. When I made date yeast water, I used up nearly all of it for a couple of loaves, then I topped the jar up with a bit more water and it generated more yeast water from the same dates. I do think that each fruit can generate enough water for several loaves – I’ve ended up with water for 2 or 3 loaves at a time so I’ve made them and frozen the loaves that I didn’t immediately need and they feeeze and defrost well. 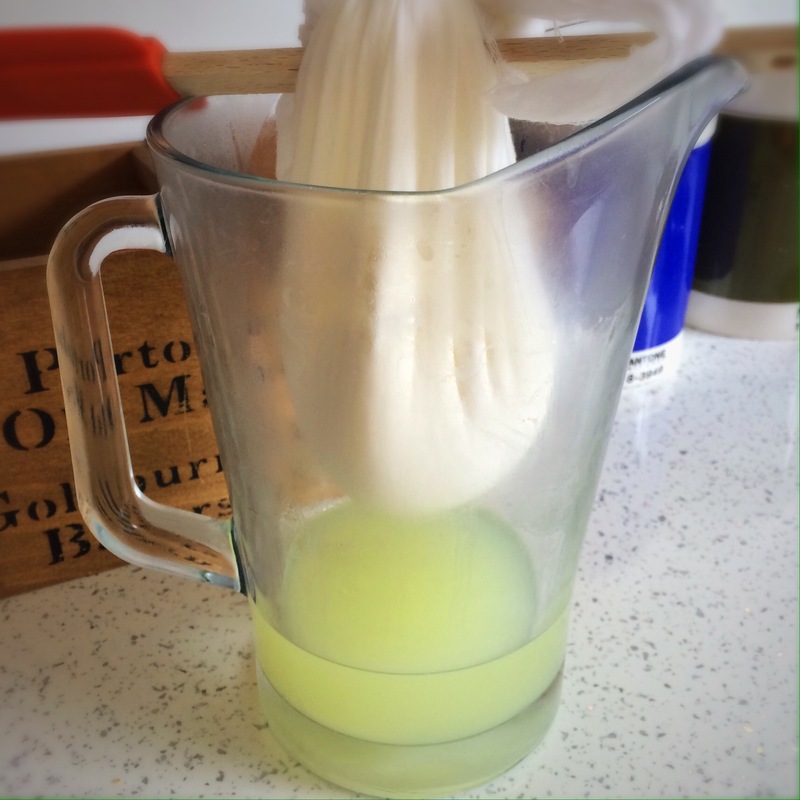 Following my posts on here and Instagram, I know that several people around the world have been experimenting with fruit yeast water with varying results. I do think that different fruits in different countries generate different results, and flour from different countries DEFINITELY behaves differently. Only you will know from your own experience whether the flour in your part of the world requires more or less water than mine. ​​Making the starter with the yeast water and flour works best when made with strong bread flour. 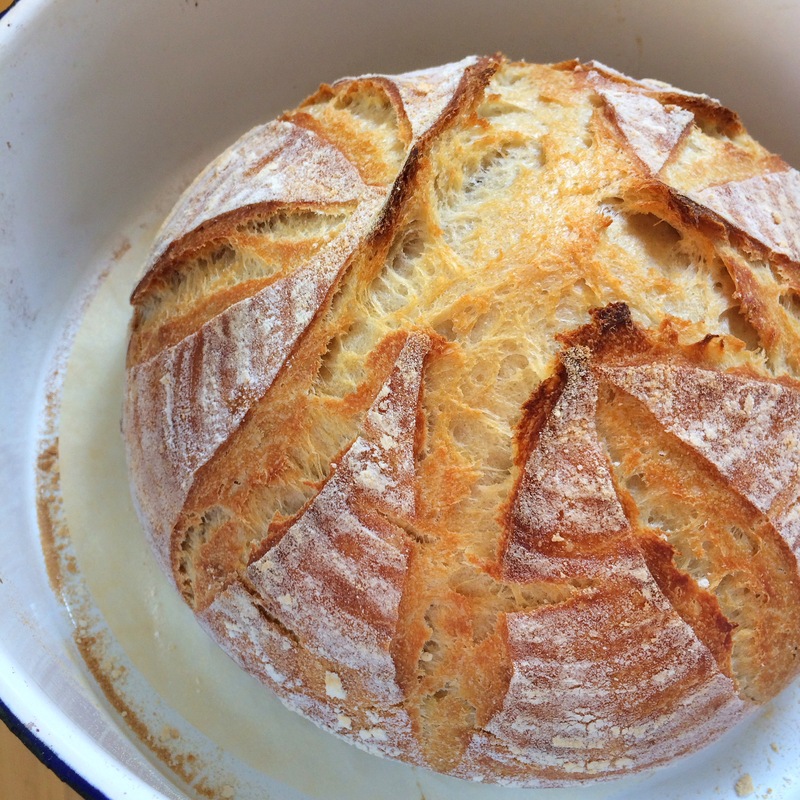 Other flours will generate a starter but it will not be as strong and could then result in less rise in the bake. 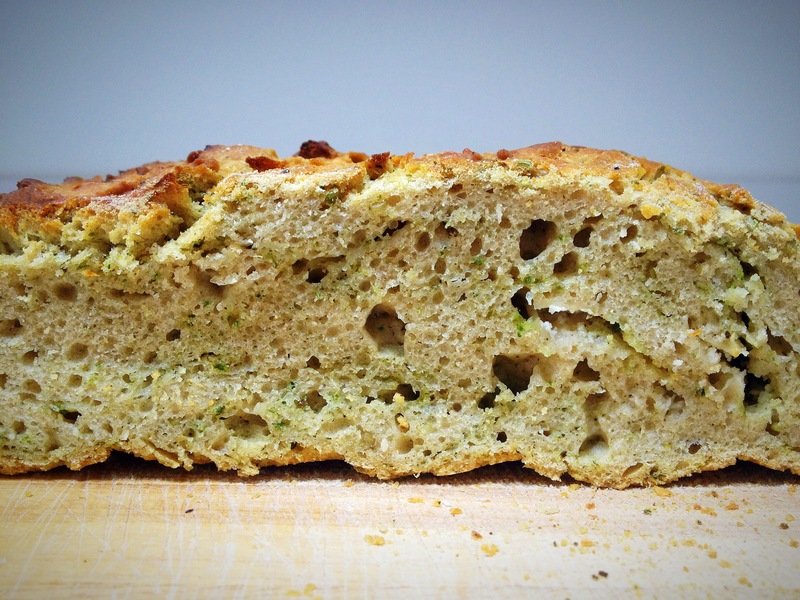 A bubbly gluten free starter can be made with buckwheat flour and fruit yeast water but I’ve only seen it in use in a cake so far. Likewise with ovens, and this goes for any baking and cooking, all ovens behave differently, even ovens that are the same make and model! Therefore, you may need to amend my temperatures and timings based on knowledge of your own oven. 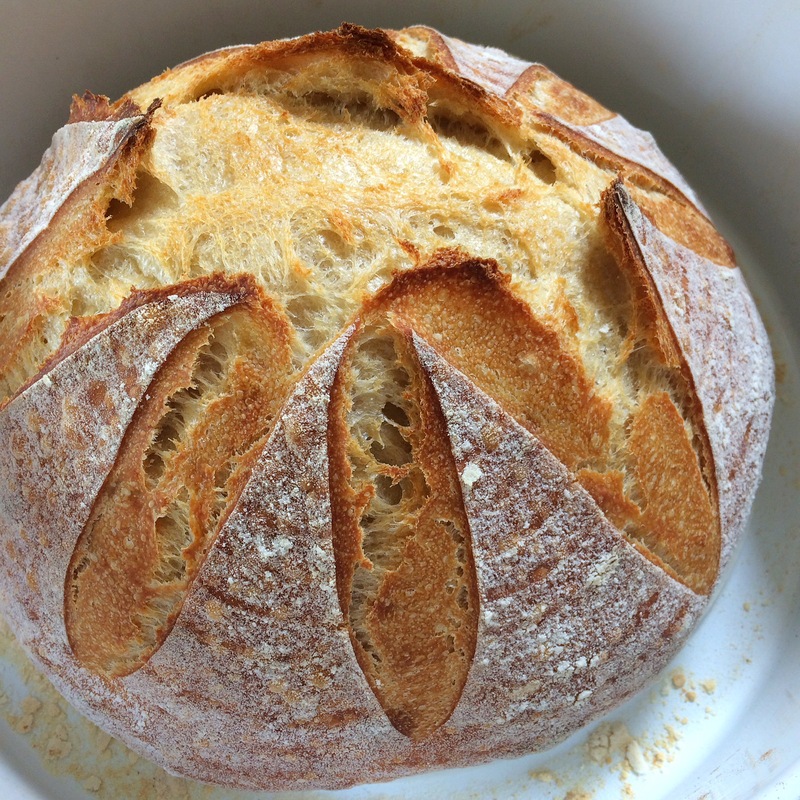 This entry was posted in Bread, Breakfast, Dairy Free, Healthy, Sourdough, Sugar Free, Vegan, Vegetarian and tagged apple yeast water, cooking, date yeast water, fruit yeast water, homemade bread, recipes on September 4, 2017 by Elaine @ foodbod. 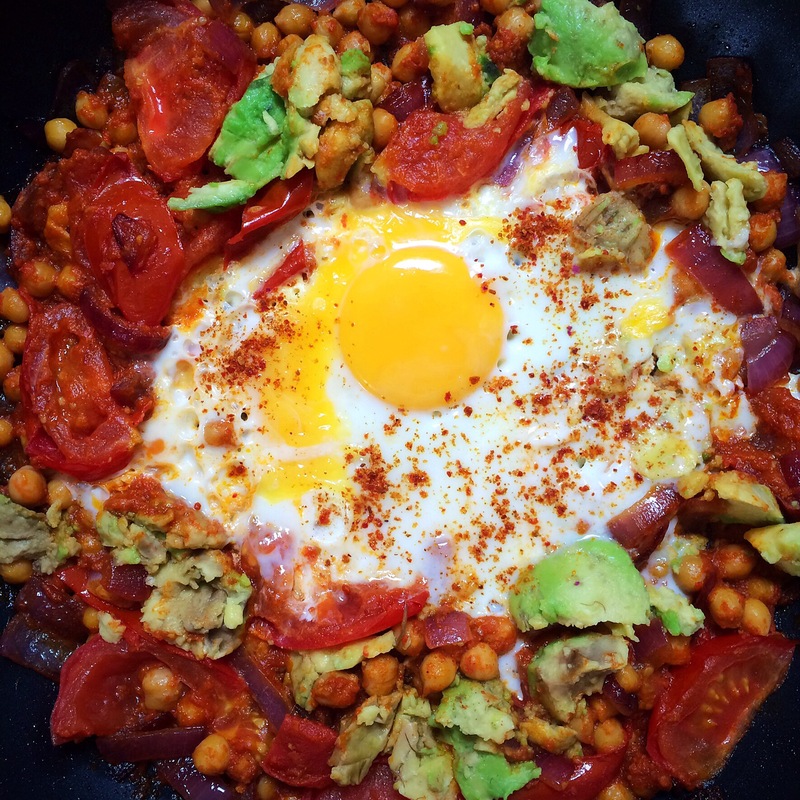 This was my quick fix when I came home hungry and ready for food and it was perfect! I ate it straight from the pan with gusto!! 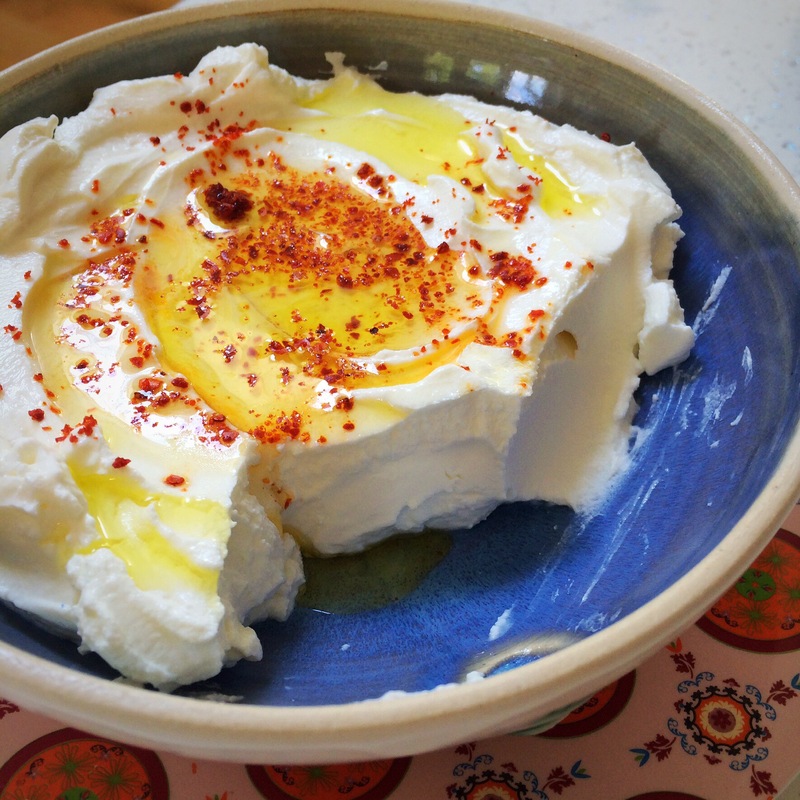 Labneh is basically ‘yoghurt cheese’, used often in middle eastern and Levantine cuisines. 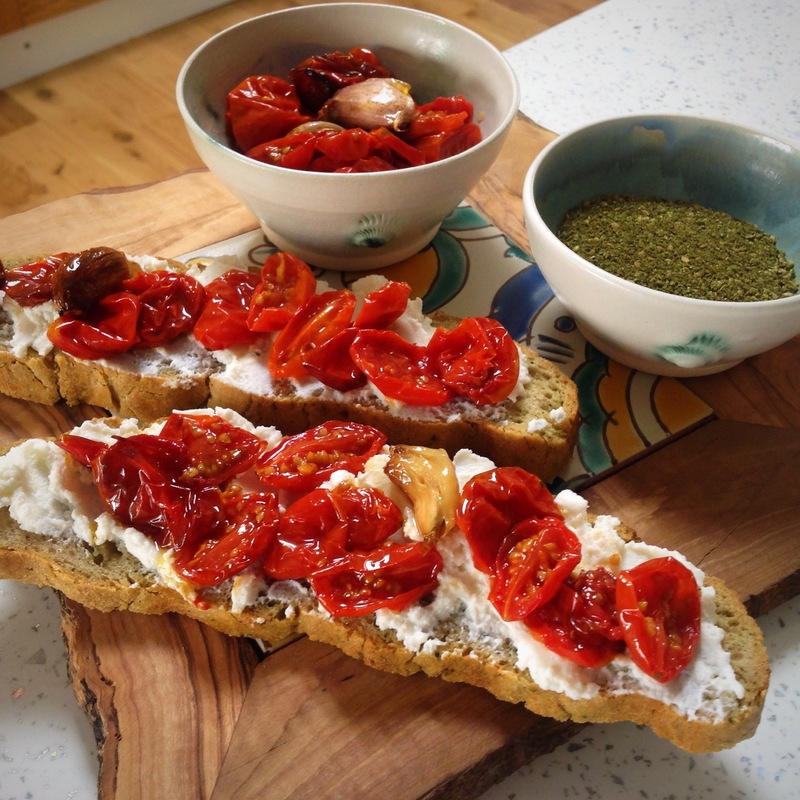 It is often offered for breakfast or as part of a mezze with olive oil drizzled over the top, mine also has chilli flakes sprinkled over it. It is so easy to make, it’s basically just drained yoghurt. 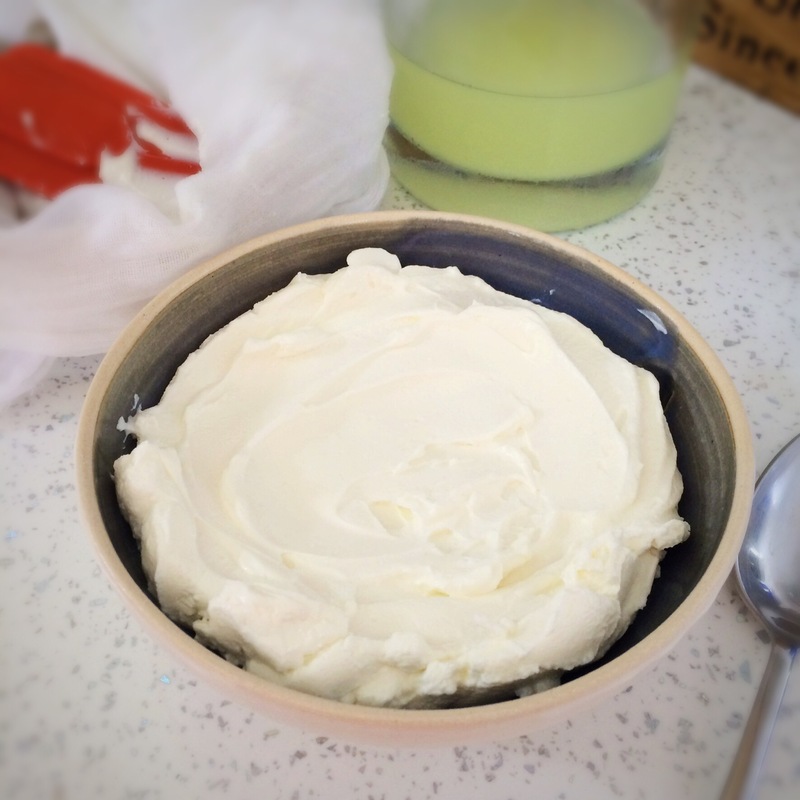 It’s nicest if you use full fat natural yoghurt to make it with, but I have also used low fat yoghurt in the past, it just makes it a lot sharper. 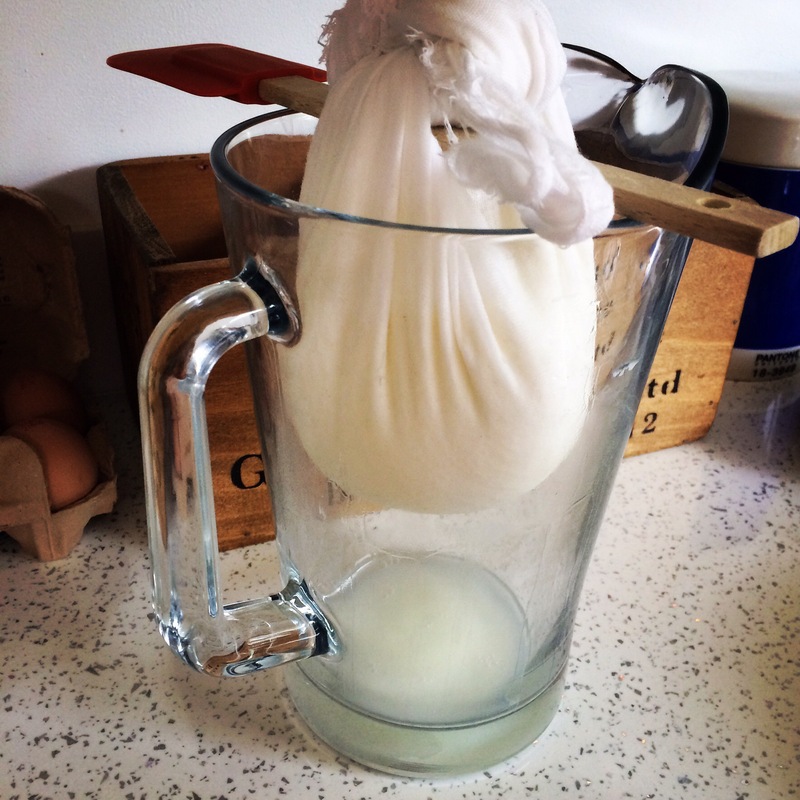 Determine how you can create a contraption to drain the yoghurt over (you’ll see what I did in the photos) and then scoop your yoghurt into a square of muslin and hang it over your jug/bowl.. This was what I took back out of the fridge the following morning. As you can see it really does firm up without becoming solid..
With the liquid that you drain from the yoghurt, you could throw it, or use it to cook vegetables in or add to recipes. 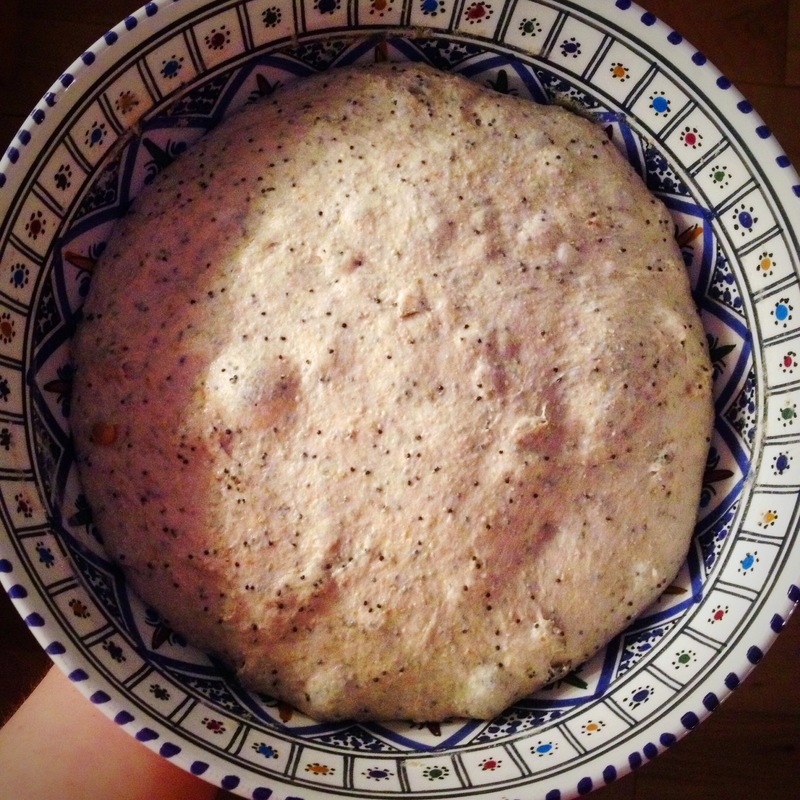 I added mine to some spiced spinach dough for making flatbreads. 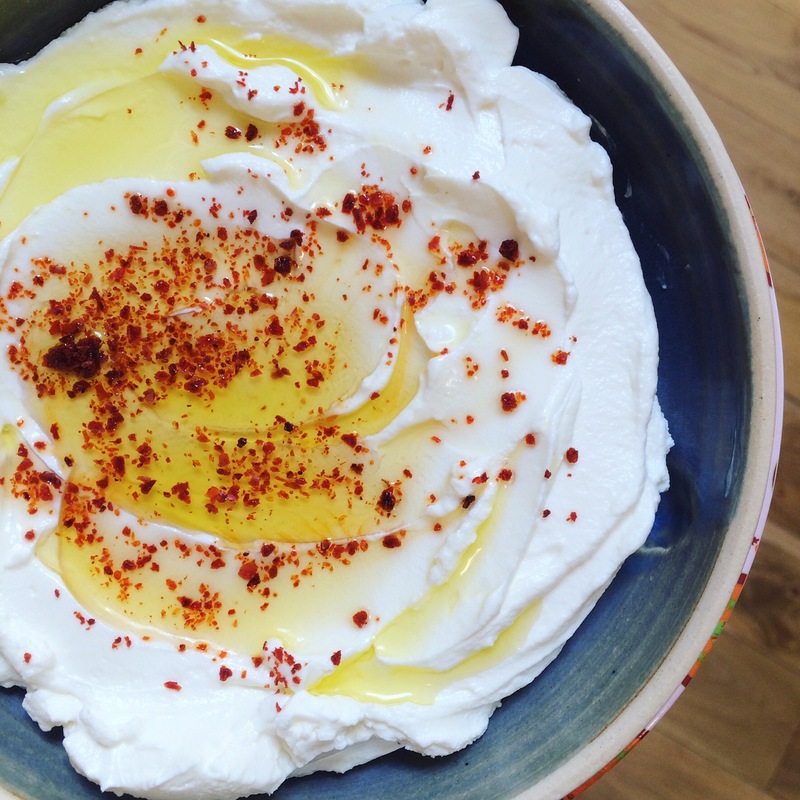 I like my labneh plain and unadulterated, but you can add salt before draining the yoghurt if you prefer, or play around with other flavour additions, sweet or savoury based on your taste. 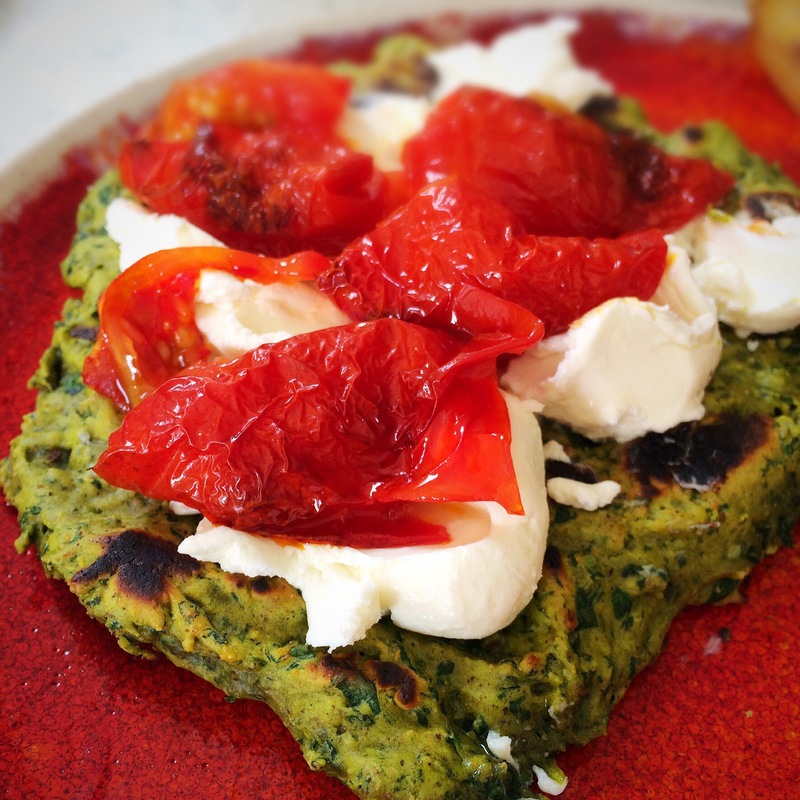 This was some of that labneh on top of some of my experimental spiced spinach dough and topped with roasted tomatoes..
Mmmmmm….might have to go and make some more!! 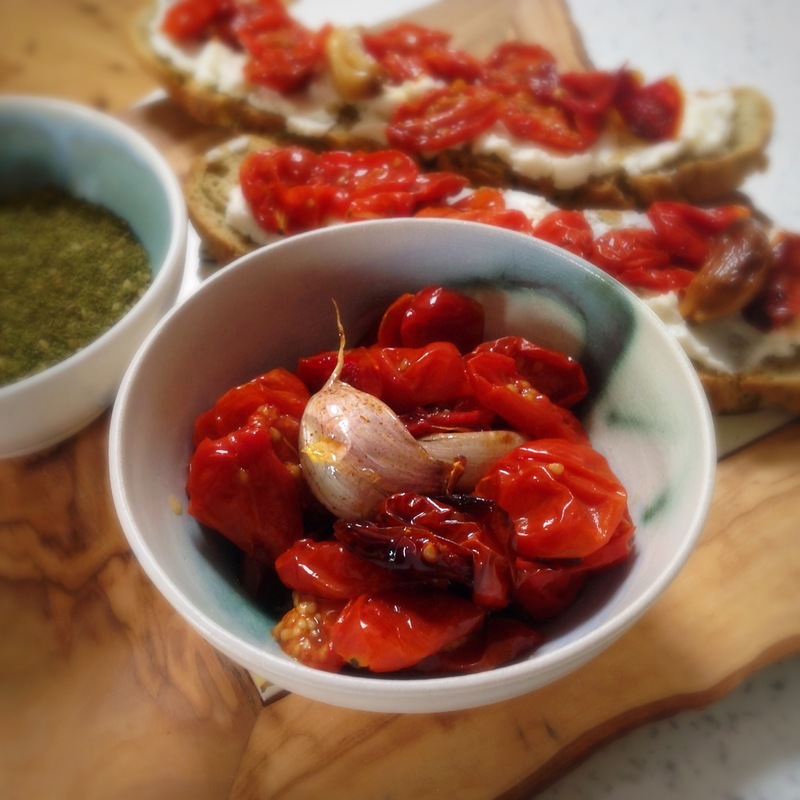 This entry was posted in Breakfast, Dinner, Dips, Gluten Free, Healthy, Lunch, Mezze, Middle Eastern, Vegetarian and tagged cooking, labneh, recipes on August 9, 2016 by Elaine @ foodbod. 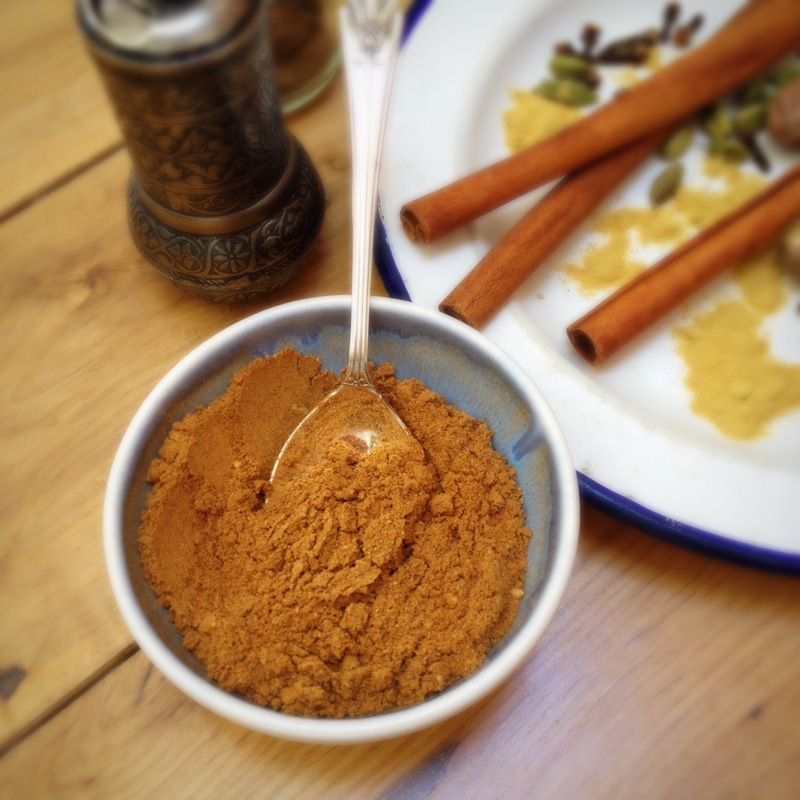 I realised recently that I don’t ever eat a meal that doesn’t have spices in it; whether it’s a full of cacophony of spices, or merely a sprinkle of roasted cumin or sumac, spices are a big part of my world. And it’s not just in my food, I start each day with turmeric capsules and a cayenne pepper capsule…I think if you cooked me I’d be pretty tasty!!! I cannot bring you a picturesque shot of my breakfast because I am far too happily eating it in the mornings to spend time pimping and preening the bowl for a perfect photo; I did consider making two lots one morning just to have one to make pretty, but who needs all that? This is a bowl for eating, not looks. 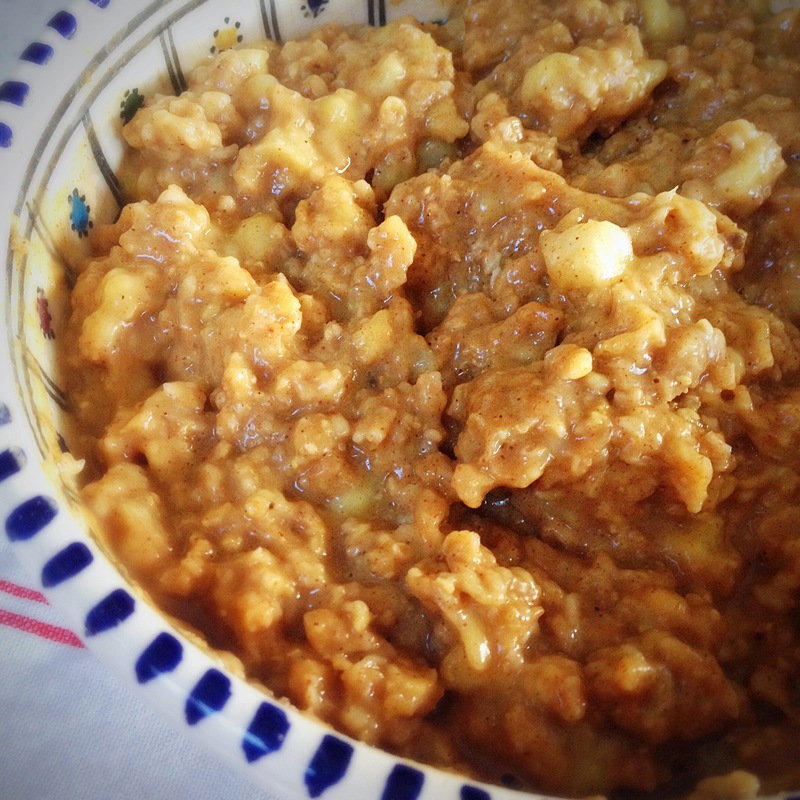 This is my chai spiced banana porridge. And I love it!!! 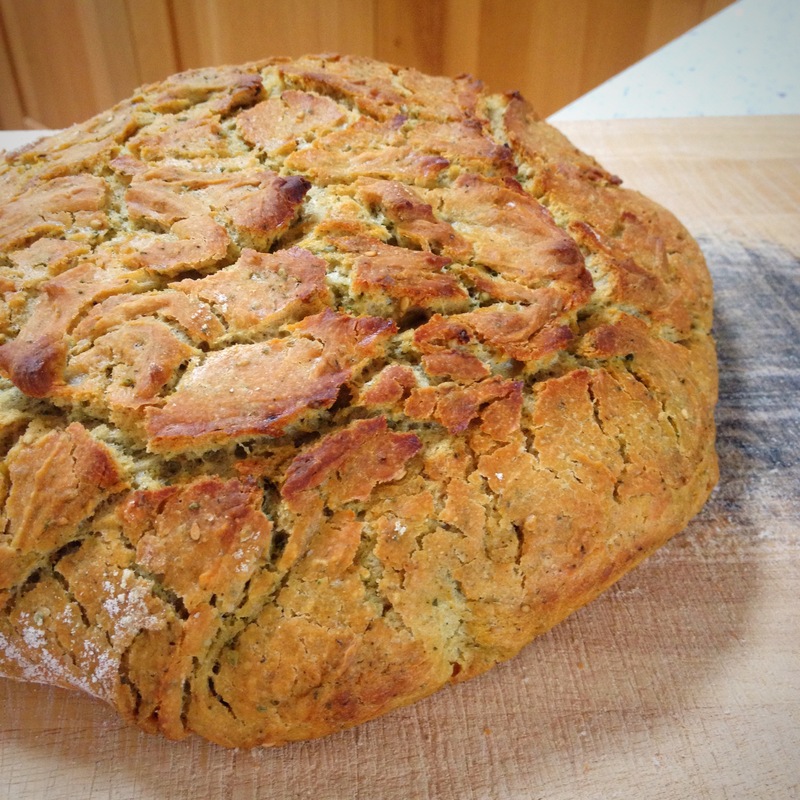 Which also isn’t pretty to look at really, but the taste and smell is beautiful! 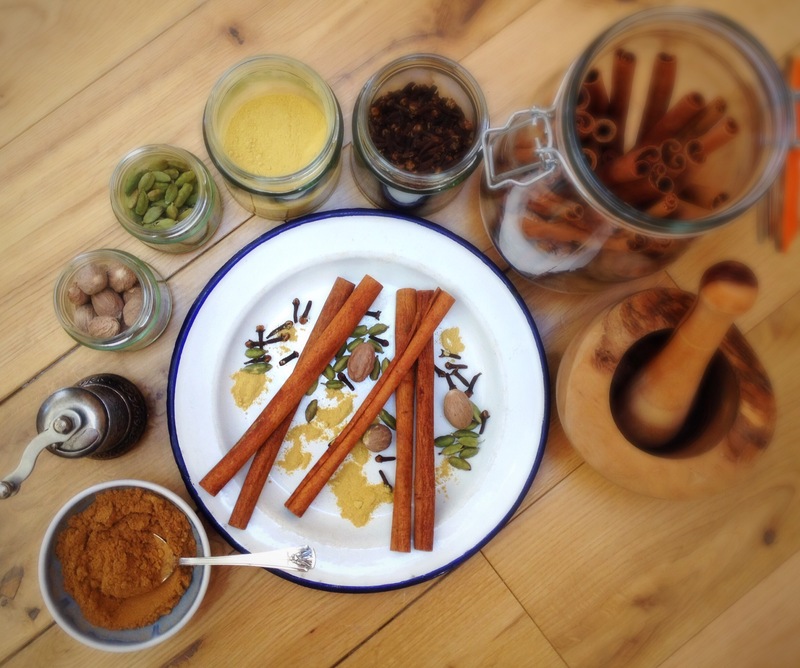 I was recently sent some chai spices and tea to try from my lovely friends at Spice Kitchen UK and this is what inspired my breakfast spices. I made the tea and spice infused milky drink as directed, but I was far more interested in trying the chai spices minus the tea…so I put some in my porridge. 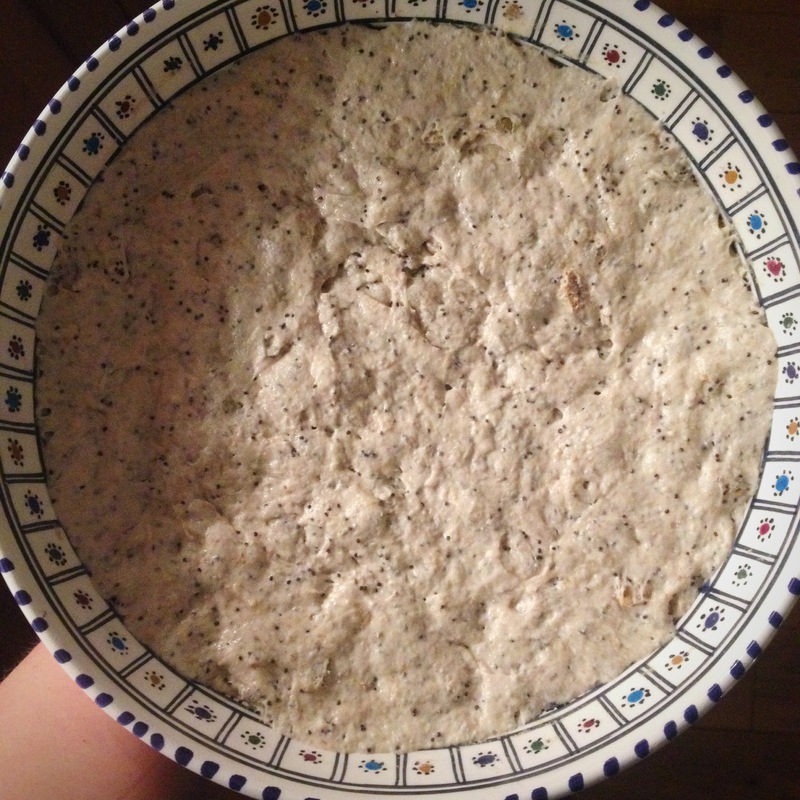 It worked really well except for the fact that the spice mix was created for making tea and being strained and therefore, the spices don’t need to be finely ground, consequently, I was biting into peppercorns and cardamoms which wasn’t so good, but the overall effect was fab. 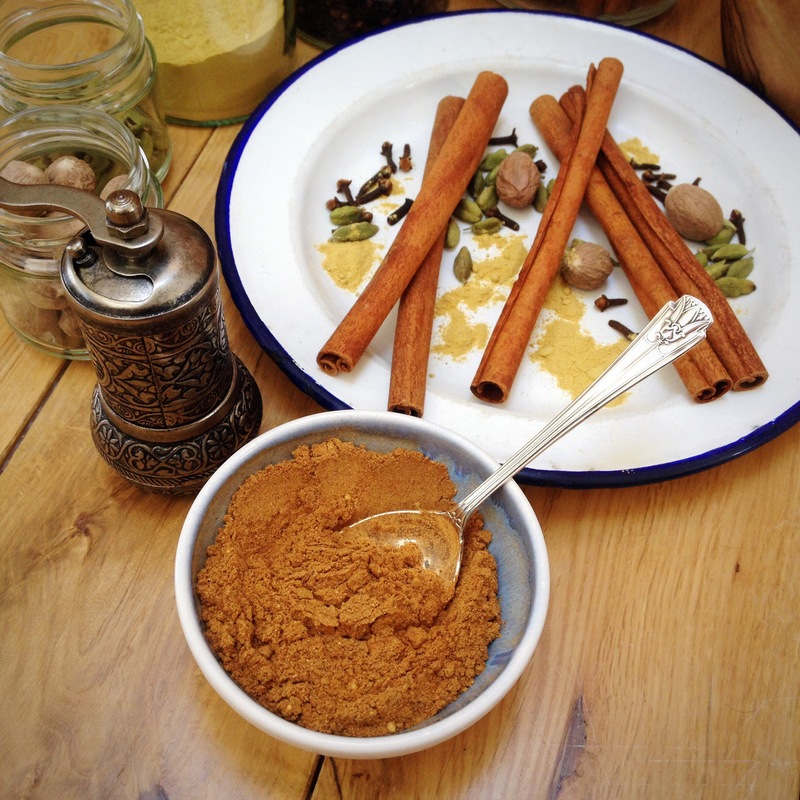 So I decided to make my own version..
Chai spice is made up of the spices that you would associate with Christmas: the beautiful cinnamon, cloves, nutmeg and ginger take you right into December. Add in the cardamom and black pepper and it becomes the wonderful chai creation of India. For my breakfast mix, I left out the pepper and increased the proportion of cinnamon, but you could of course amend it to your tastes.. Mix together well and store in an airtight jar. 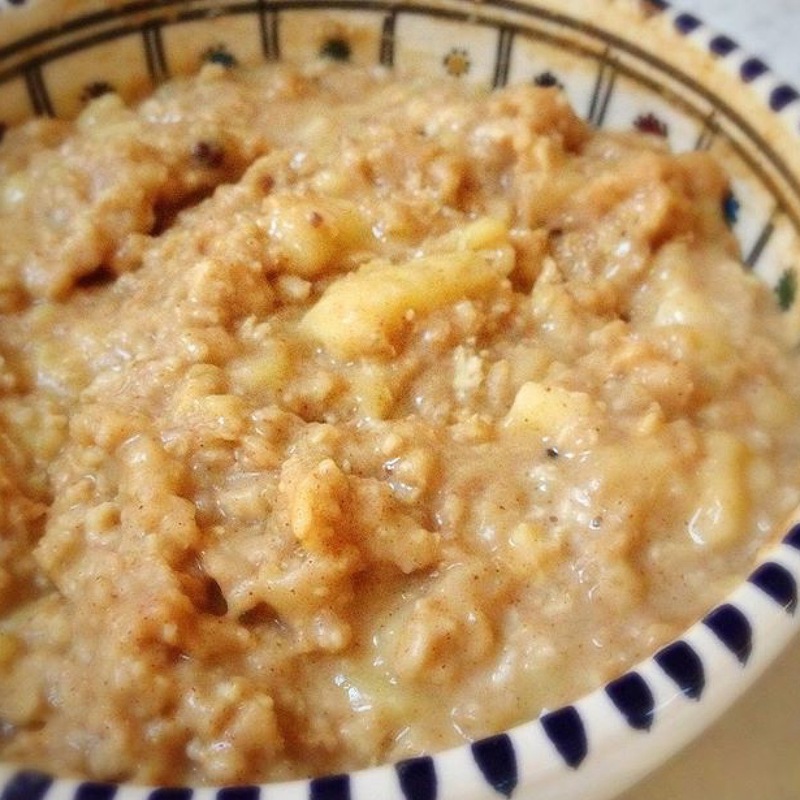 To make my breakfast, I soak my oats overnight in water with a huge heaped teaspoonful of the spice mix, then add mashed banana in the morning before heating it all. And then I take time to eat it and savour it and love it…and then I start looking forward to the next morning when I can eat it all again! The aroma on its own is enough to make you smile! 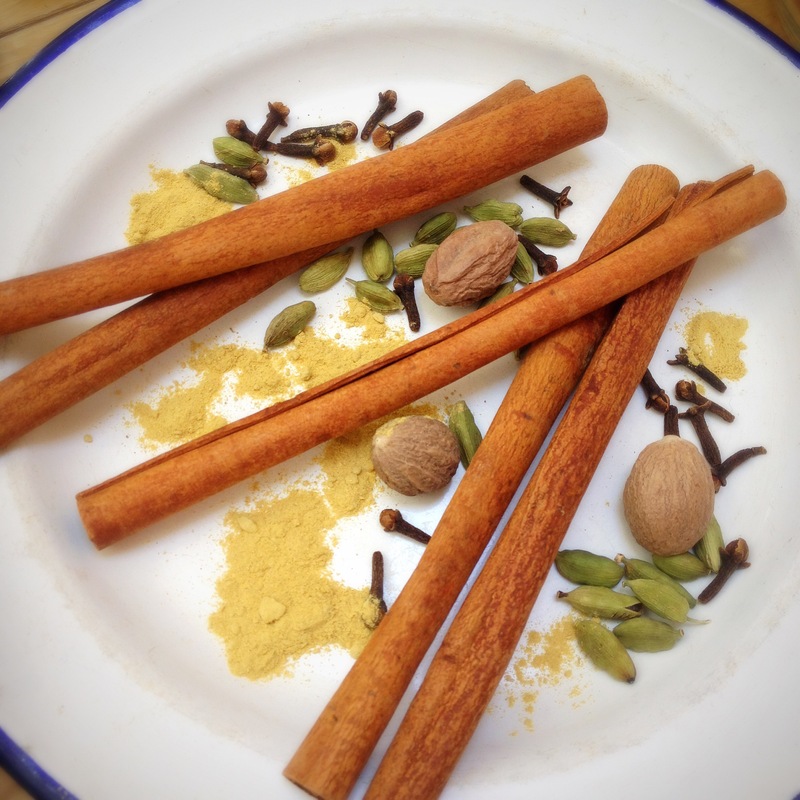 This entry was posted in Breakfast, Gluten Free, Healthy, Indian, Sugar Free, Vegan, Vegetarian and tagged chai spice, cooking, recipes, spice kitchen uk on April 26, 2016 by Elaine @ foodbod. Having shared these photos on Instagram over the last couple of days, and possibly bored people to tears, I thought I’d share them with you all too…!!! Hopefully I won’t bore you to tears too?! Or everyone at this week’s Fiesta Friday?! 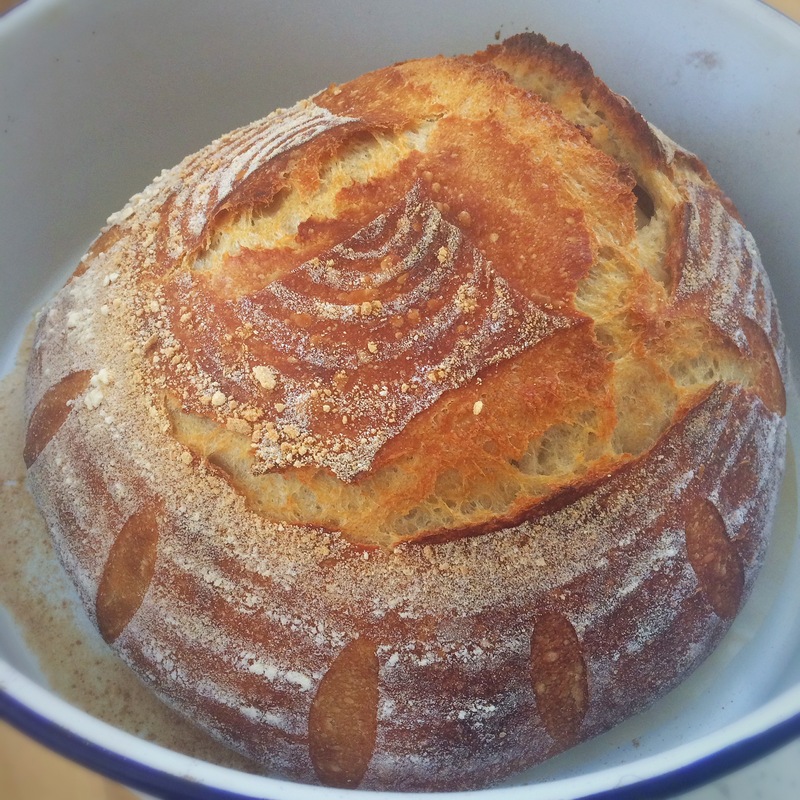 This is a loaf I put together yesterday morning and the photos chart it’s growth through to baking and eating..having used my lovely patterned Moroccan bowl again, you can literally see the growth. 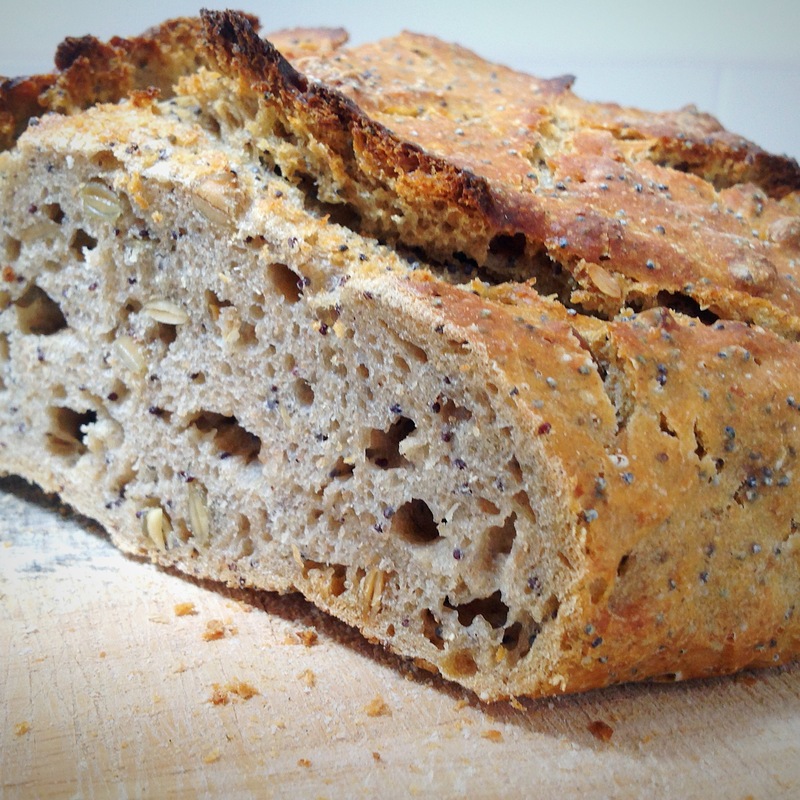 This is a sourdough loaf made with a mixture of my freshly fed bubbly starter, rye flour, kamut flour, strong white flour, pumpkin seeds and poppy seeds.. 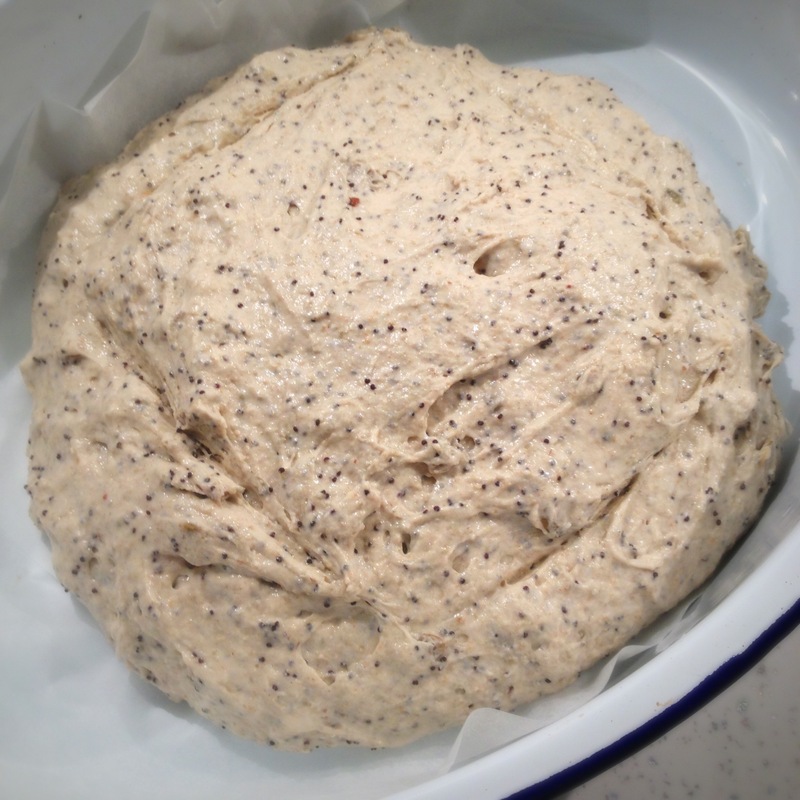 It began at 7am on Friday morning which is when I first put the dough together. This is the growth after 6 hours. This is a later in the day at 5.30pm, hence the lack of light. 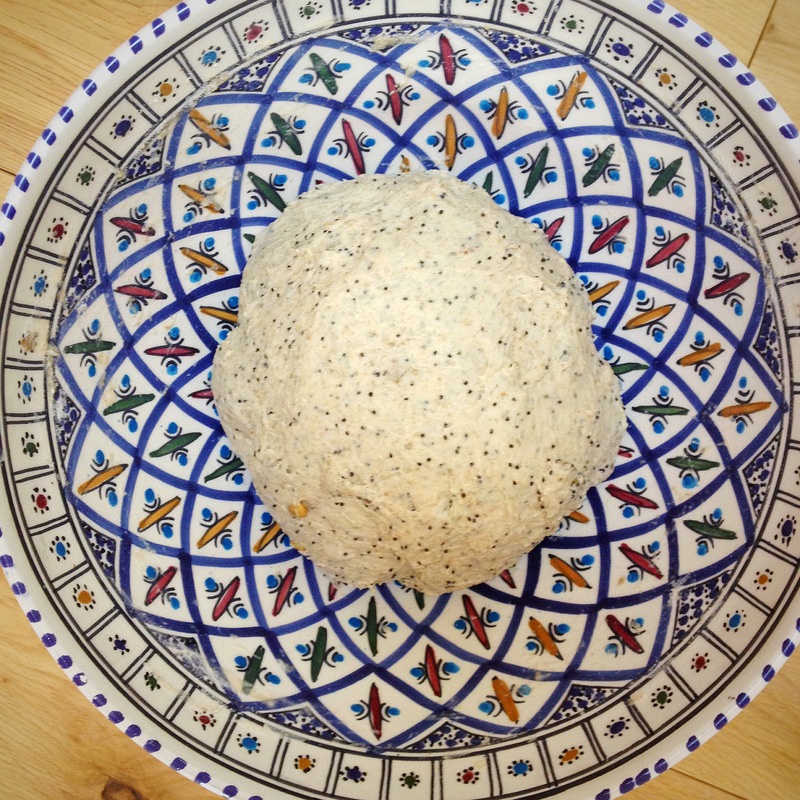 I then knocked back the dough, folded it several times and left it to prove again overnight. All ready to bake. 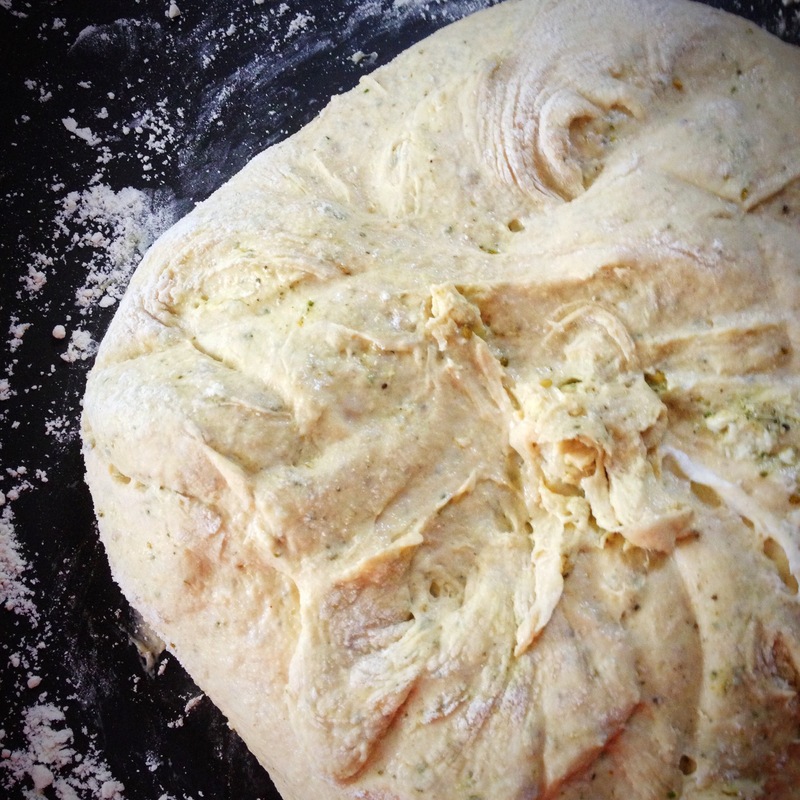 The dough was quite sloppy so difficult to shape and slash. The baked loaf 45 minutes later. Isn’t it cool to literally see a loaf of bread come alive?? I love it! And it tastes good, which is a bonus! 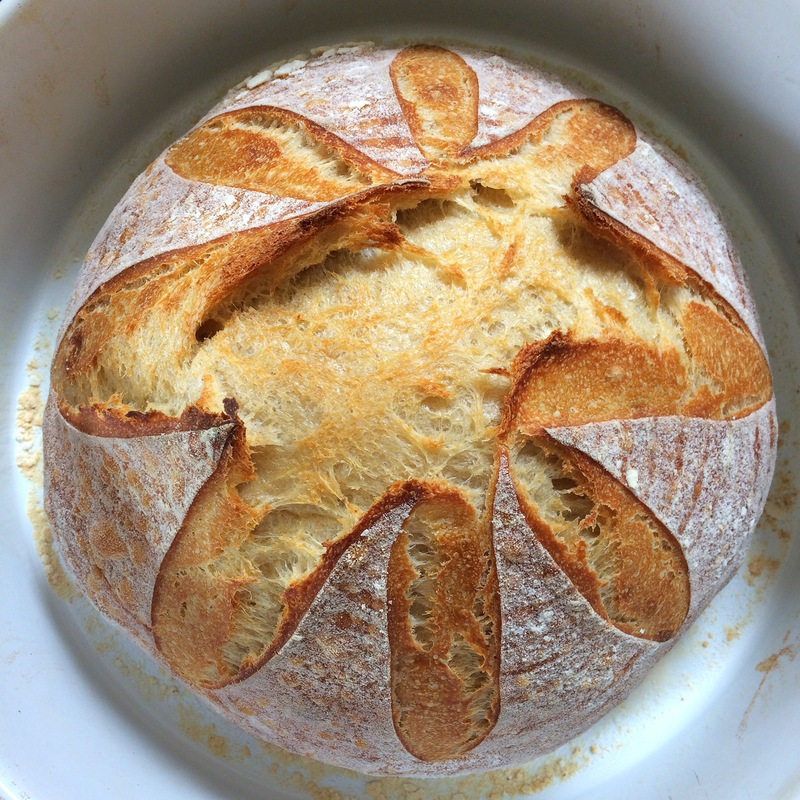 Check out my loaf plus lots of other people’s amazing dishes/offerings at Fiesta Friday, co hosted this week by the lovely Steffi and Andrea. 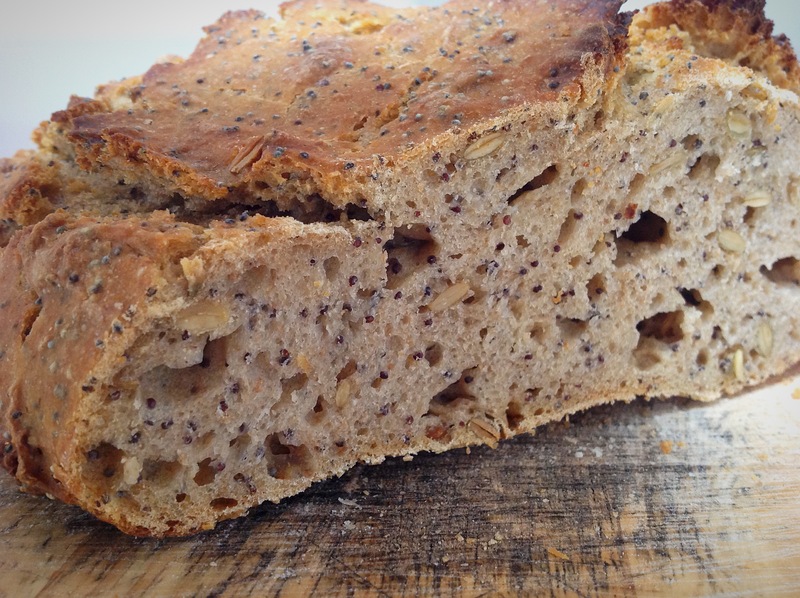 This entry was posted in Bread, Breakfast, Dairy Free, Dinner, Healthy, Lunch, Sourdough, Sugar Free, Vegan, Vegetarian and tagged baking, cooking, recipes on February 13, 2016 by Elaine @ foodbod. 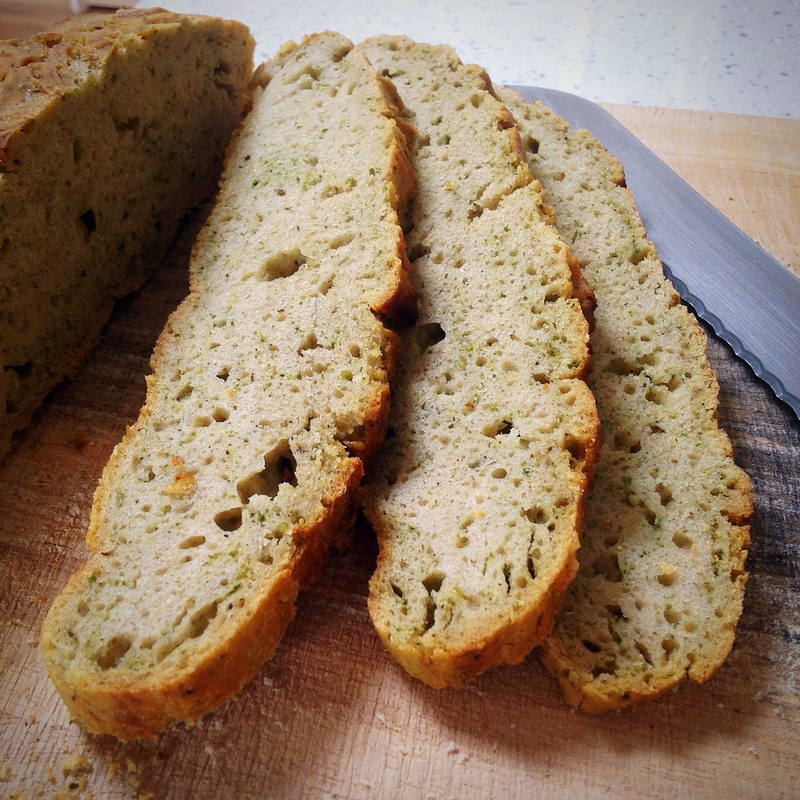 I’ve seen lots of wonderful looking filled or flavoured loaves of bread on others people’s blogs and have wanted to try out some ideas but wasn’t sure what effect the added ingredients would have on the dough. 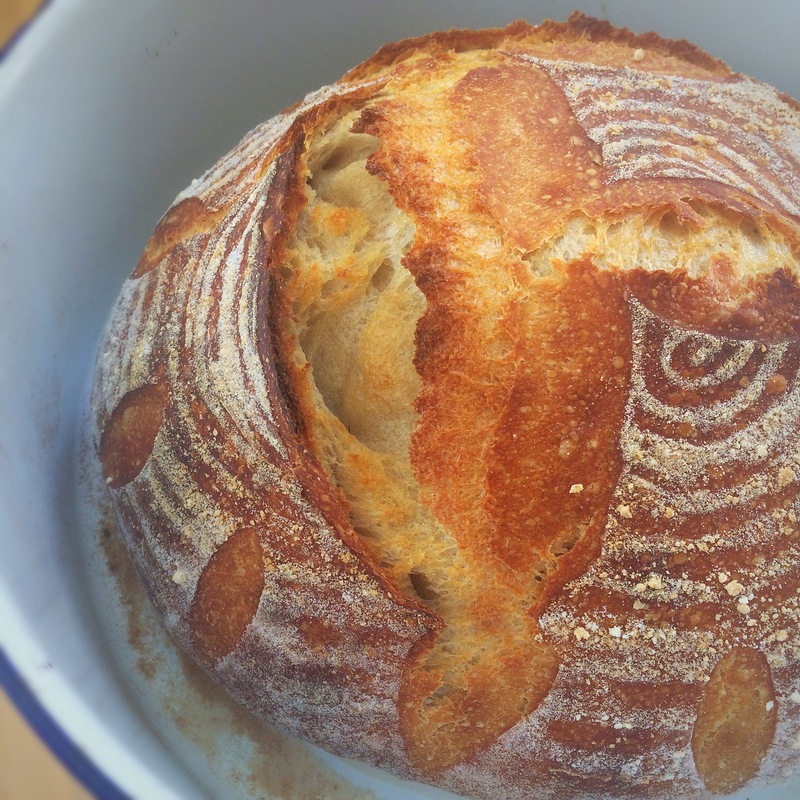 This week I had put together two different sourdough doughs so decided to risk one of them. So, I basically put the dough together based on the overnight recipe I’ve used many times before, using 200g spelt flour, 200g kamut flour & 100g strong white flour, 160g bubbly starter & 290g water. 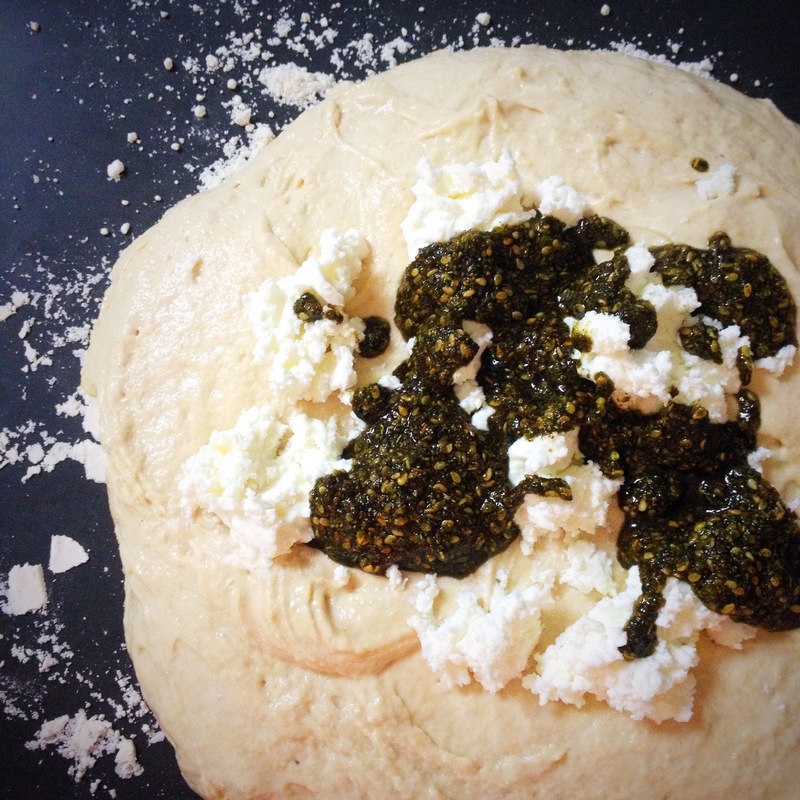 It developed and rose beautifully overnight and the next day I used a scraper to pour the dough onto a large tray sprinkled with flour and crumbled mild goats cheese over the top along with some za’atar mixed with olive oil.. I then had to use the scraper to loosely mix it through the dough, I didn’t work it too much, then left it to rise again whilst I heated the oven.. I heated the oven to 250C (fan) then poured – yes, poured, it was that sloppy! 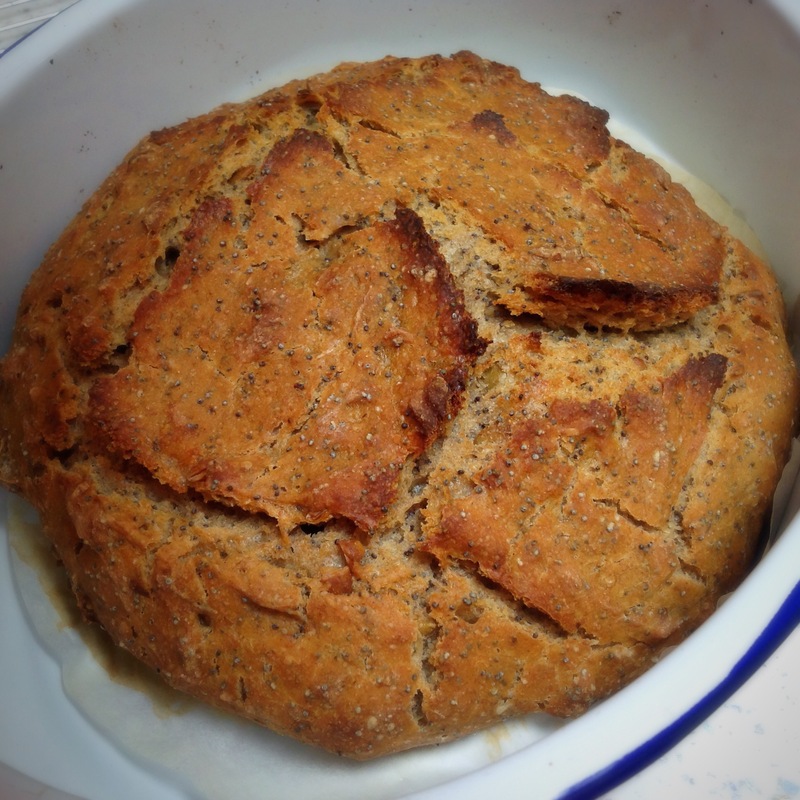 – the dough into my roasting pan, put the lid on, turned the oven down to 220C and baked it for 30 minutes with the lid on, and a further 12 minutes without it. The smell as it baked was AMAZING!!!!!!! OMG! 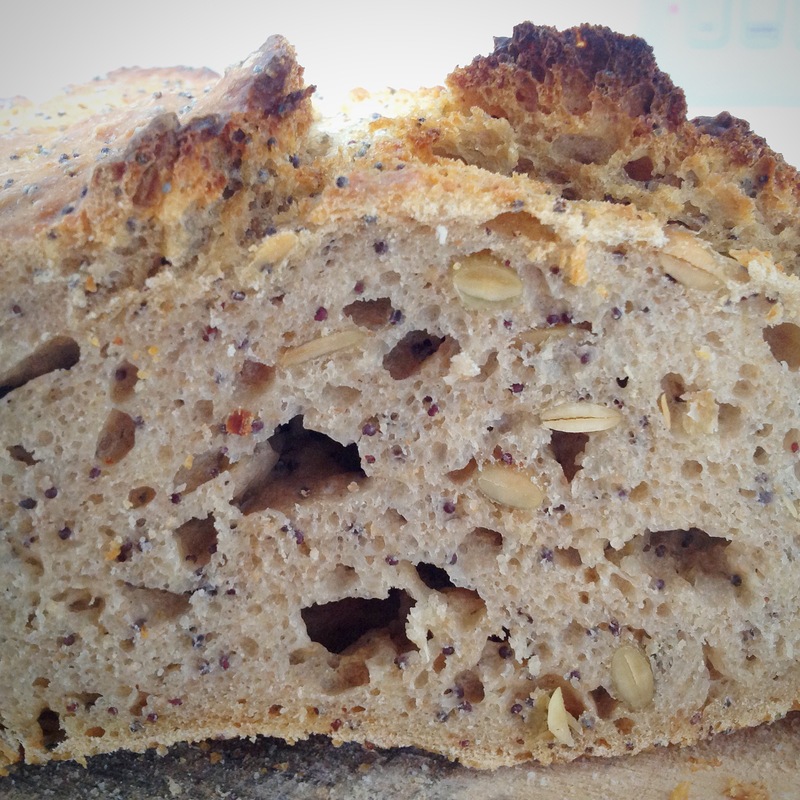 spelt smells amazing as you bake it, so does kamut, put them together with the spices, and woohoo!!! heaven in your nose! I ate it on its own yesterday, it didn’t need anything with it to be honest. By this morning the aroma of the za’atar filled the kitchen and it took all my will power to wait until lunch time to have some! 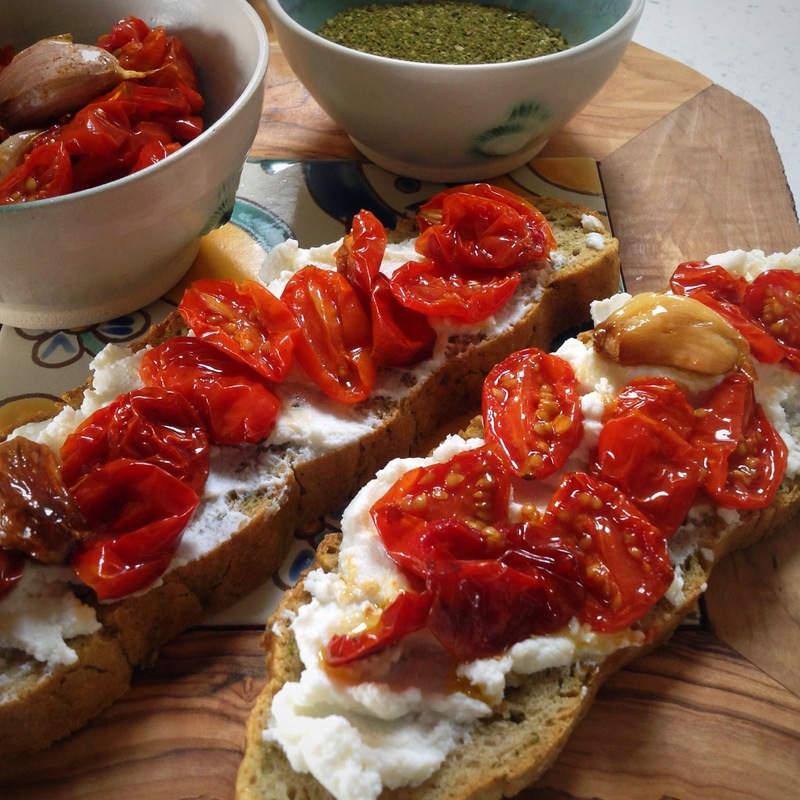 I toasted a couple of slices and topped them with ricotta cheese and some cherry tomatoes and garlic that I had slow roasted yesterday.. So good!! And check me out using my gorgeous new bowls from Sytch Farm Studios – I’ve been looking at them and loving them for three weeks now so finally decided to use them…I struggle to use new things! I like to cherish them in all their new beautiful glory for a while, I’m exactly the same with clothes!! 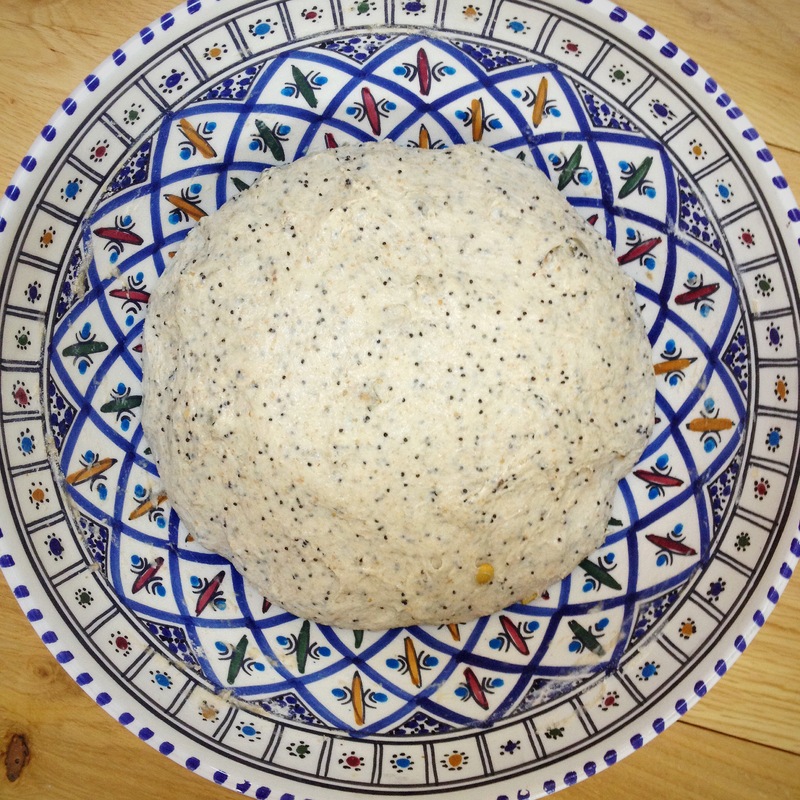 Anyway, I hope you feel inspired to chuck something new in your dough, next time I will add more goats cheese, as it got a bit lost. I hope my lovely friends at this week’s Fiesta Friday enjoy my loaf, do join us and our lovely co hosts this week, the fabulous Linda and Caroline. 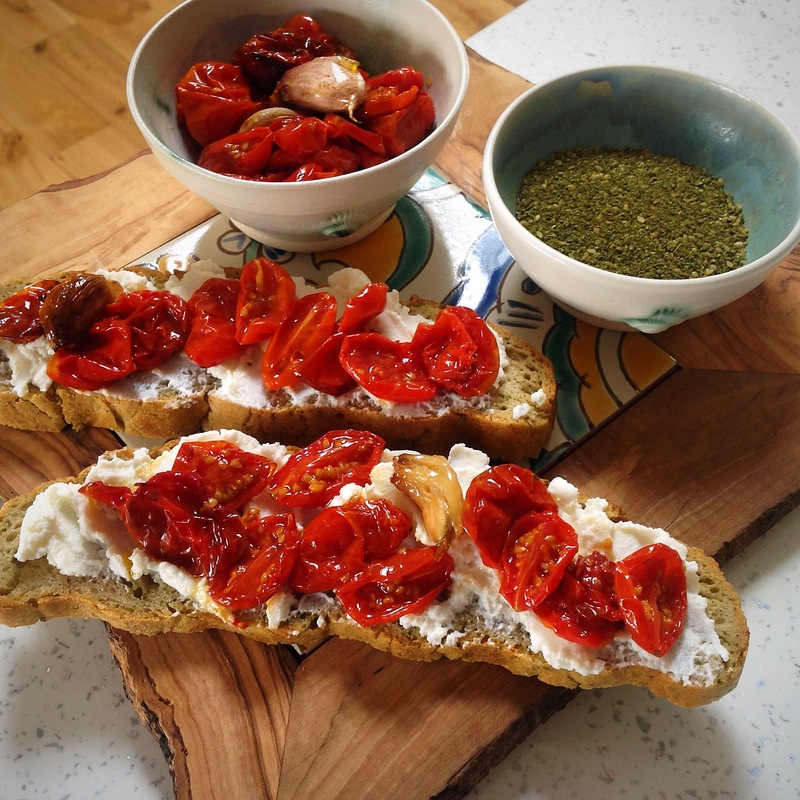 This entry was posted in Bread, Breakfast, Lunch, Mezze, Middle Eastern, Roasted Vegetables, Sourdough, Sugar Free, Vegetarian and tagged cooking, fiesta friday, recipes, sytch farm studios on December 18, 2015 by Elaine @ foodbod.